A Plus Warehouse offers countless numbers of lockers. Learn about a popular type of laptop locker. Many products are available at A Plus Warehouse. 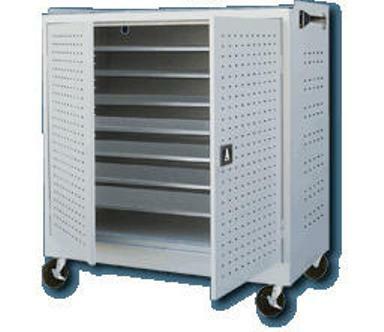 Such products include cabinets, bins, shelving, and lockers. A Plus Warehouse enjoys talking about a product of the day. The product of the day can be any item from the A Plus Warehouse collection. There are so many items to choose from that it is impossible to make every single item the product of the day. This is why the product of the day are only the best products the company has to offer. Today’s product of the day is the wall mounted laptop locker. According to Ed Stairman, president of A Plus Warehouse, “The wall mounted laptop locker is ideal for safely securing your laptop right in your wall.” Ed is completely correct. This is why customers enjoy this product. Hopefully, having this product as product of the day will bring it more attention. The wall mounted laptop locker is an extremely small part of A Plus Warehouse’s never ending locker collection. This section includes hundred if not thousands of lockers. Such lockers include but are not limited to inexpensive lockers, lockmaster lockers, and wood lockers. A Plus Warehouses lockers come from several different manufacturers including Hallowell, Penco, Republic, and Lyon. These are all names that customers can trust. A Plus Warehouse only sells the highest quality items. 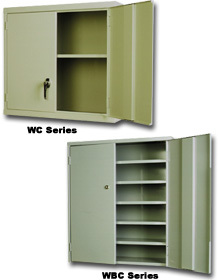 Lockers are a specialty at A Plus Warehouse therefor customers should order theirs today. 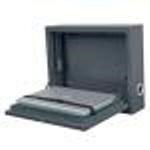 Within the locker section lays the laptop locker subsection. 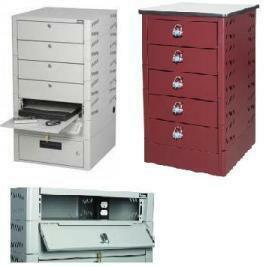 Many companies need laptop lockers such as corporations, government, schools, and colleges. A Plus Warehouse laptop lockers are made in the U.S.A. The lockers measure 18 ½ inches wide X 18 inches deep and 34 inches high. These dimensions should fit a typical laptop. It is time to discuss the wall mounted laptop locker. This locker is extremely secure and can be mounted right on a persons wall. This is a very handy feature for a dorm room. Every college kid needs a laptop locker. For these kids, this laptop locker is highly suggested. The locker also includes cell phone and a camera storage holder. This is used with an electric keypad; however, there is a key in case of battery failure. The locker has both an administration and user password. A Plus Warehouse hopes customers will highly consider this item today.